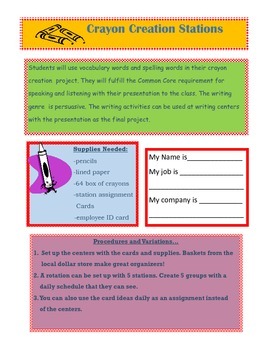 This project includes writing centers with a final project that will be not only fun but will also include the standard of speaking and listening! It will stengthen vocabulary and sentence writing. 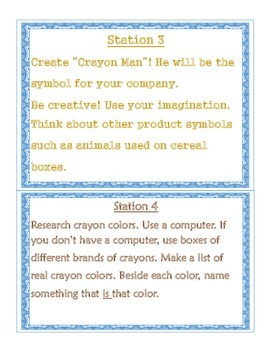 Students will do research on crayons to give them the technology experience. 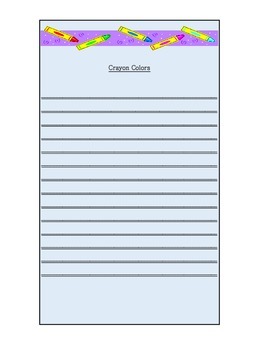 Of course, students should enjoy what they are doing so there is a CREATIVE project included!